A man tried to illegally sell £15,000 of endangered black rhino horns as he struggled to pay his mortgage, a court heard. Clifford Bardelli, 52, had been given two pieces of horn as keepsakes by his former boss when he worked as a silversmith. 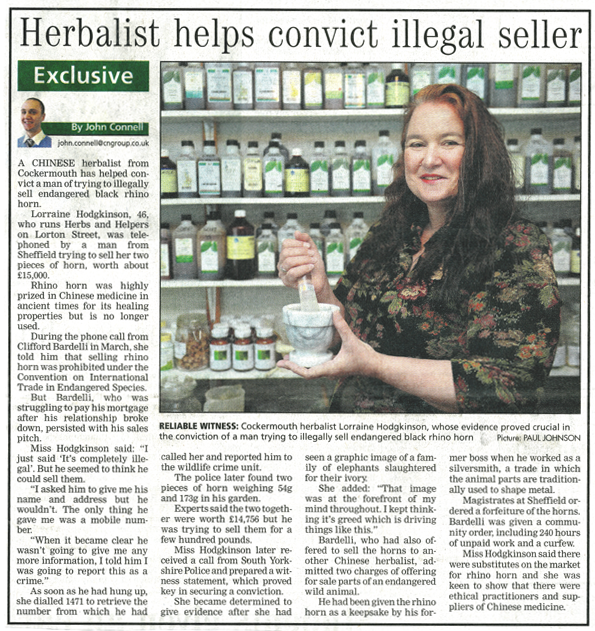 But when his long-term partner left him Bardelli contacted two Chinese herbalists and tried to sell them – despite being told it was illegal. 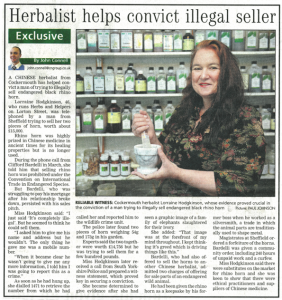 He was caught out when one of the herbalists retrieved his details after he called – by dialling 1471 – before passing them on to the police. Officers found a lump of horn weighing 54g along with a second bigger piece, weighing 173g, which was found buried about six feet down in his garden. Experts said the two together were worth £14,756 but ‘unsophisticated’ Bardelli was trying to sell them for just a few hundred pounds. Magistrates in Sheffield, South Yorkshire, heard how Bardelli used the pieces of horn in his previous career as a silversmith where the animal parts are traditionally used to shape metal. Rhino horn does not make marks on the metal like other materials. Bardelli, who now works as a landscape gardener, said when he left the job his boss gave him the two pieces knowing he was a keen collector of fossils and artefacts. 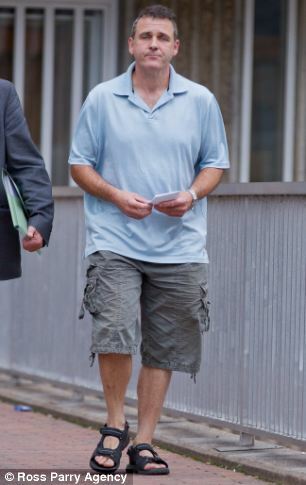 Prosecutor Rob Coyne said Bardelli, of Sheffield, called a Chinese herbalist in March saying he had some black rhino horn and ‘asking her several times if she wanted any’. Police later found that Bardelli had also visited a second Chinese herbalist in Sheffield offering her the horns. He told her they were from South Africa and claimed they were worth £1,000 but was ‘willing to do a deal’. Defending, Paul Metcalfe said Bardelli was unable to pay his mortgage after splitting up with his partner. He told the court: ‘What he was asking for was nothing like the value of these things. A couple of hundred pounds was all he was after. Bardelli admitted two charges of offering for sale parts of an endangered wild animal. The magistrates ordered forfeiture of the two rhino horns and handed him a community order with 240 hours of unpaid work. They also imposed a tagged curfew between the hours of 8pm and 6am and ordered him to pay a £15 victim surcharge. Chairman of the bench Alan Law told him: ‘We struggled to decide what type of sentence is warranted in this. ‘But clearly this is a very serious offence, the value of it and the fact that it is an endangered species. ‘This is something we have to set an example about.